ID MAX.U1002 is an UHF Vehicle Access Control Reader that combines the features of a RFID reader and an access controller in one device. UHF Vehicle Access Controll Reader with integrated antenna, signal light and Access Controller. The ideal Stand alone-solution for vehicle identification and parking access control applications. UHF Compact Reader with integrated antenna and signal light. Ideal solution for vehicle identification and parking access control applications. 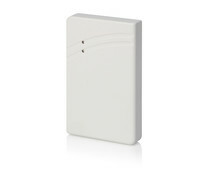 LF Proximity Card Reader with configured offline operational mode. 125 kHz stand-alone toegangscontroleterminal voor één deur, tourniquet of slagboom. The UHF Long Range Reader ID ISC.LRU1002 can be used in various applications and is a powerful cost-effective alternative to other high performance readers. The ID ISC.LRU1002 is licensed under ETSI, FCC and IC. 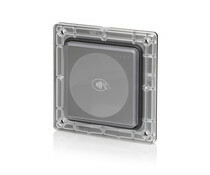 The CPR-46, also called the myAXXESS flatOne, is an EMV Level 1 certified contactless NFC/RFID cardreader. The reader is designed for payment applications, as well as e-ticketing and e-mobility applications. 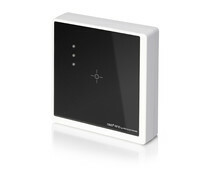 ID RW02 is designed as a wall-mounted device for contactless data exchange with common 125 kHz transponders for applications like access control, time attendance and payment systems. The UHF Long Range Readers ID ISC.LRU3000 and ID ISC.LRU3500 are the most powerful readers of the product line OBID i-scan® UHF. 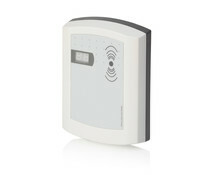 ID MAX50.10-xE is a cost effective alternative to traditional access control solutions. 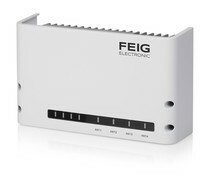 The fast Ethernet interface(10BASE-T/100BASE-TX) allows an easy integration into IP-based network infrastructures with CAT-5 cables. The HF Long Range Reader Module ID ISC.LRM2500-A identifies ISO 15693 transponders z This model combines a powerful reader with the functionality of an industrial PCs in one device. 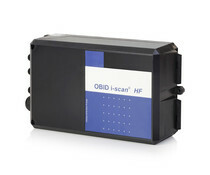 The HF Long Range Reader ID identifies ISC.LR1002 ISO 15693 and HF Gen 2 transponders. This reader provides a very good performance for a relatively low price! The ID CPR50.10-E is a wall mounting Multitag HF reader with Ethernet interface and I / O option. 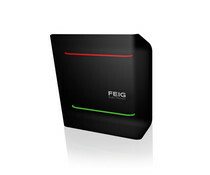 This ID CPR-03.20 reader is a IP65, completely drained resin and the only read only multitag reader of FEIG. 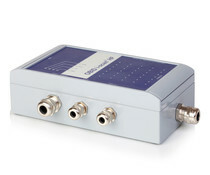 The ID CPR02.10-AD / -B is designed as a wall mountable reader for contactless data exchange with common ISO 14443-A & -B and ISO 15693 Transponders.